From 2-25 September there was been a challenge called 2011 Podcaster challenge, or Plurk podcaster challenge. 26 podcasters were given different patterns to knit within these dates, and all patterns included the same technique, cables. 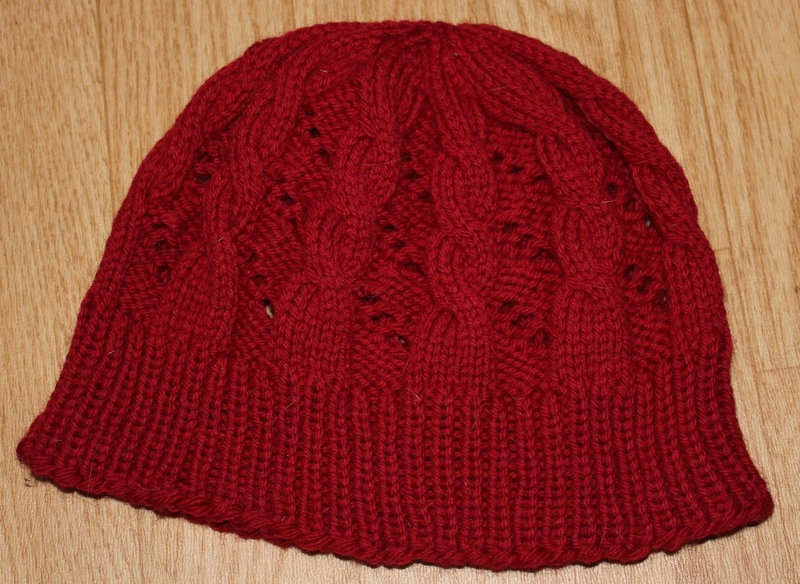 The viewers/listeners were invited to join the podcasters and knit along with them, and the only pattern I wanted to knit, was Hermione's Cable & Eyelet Hat, the pattern given to Kate from the Noteable Needlework podcast. I knit mine in Cascade 220, colourway 2413, on needles 3.5 mm, US 4.